The titles have varied, from Grand Theft Auto V and Final Fantasy VII, to more recently, Dragon Quest Builders and Super Mario Odyssey. While Angela and I prefer multiplayer games when possible, the majority of games we play together are single-player ones (we just swap controls). It’s always a fun experience to play through a great game together with someone close to you. But the influences aren’t just about her giving me weird names for RPG protagonists (like Red XIII from FF7 as “Kitty”) or strange character customization choices (as in the appearance of my hero in Xenoblade Chronicles X). There were times where our shared experience actually helped us to understand more about each other, almost like one of Persona’s social links, leveling up with every new title. Angela’s past gaming history includes older retro titles like Ice Climber, Contra, and Battle City, and naturally, multiplayer games were some of our favorites. But we’re both more interested in good, and unique, gameplay, rather than the fact that a title has a multiplayer component. Playing Super Mario Galaxy 2 and Super Mario Odyssey together was a joy because of the clever level design and the way the second player was so seamlessly integrated into the gameplay. Angela was really good with both Mario and Cappy (I was okay as Mario, terrible as Cappy), but it also highlighted our varied approaches to gaming. I preferred racing to get the minimal number of Power Moons needed to power the Odyssey and move onto the next Kingdom. She liked to explore, finish side quests, and gain all the Power Moons. This helped me to see much more of the Kingdoms within Odyssey than if I’d played it on my own. Another fascinating, but different, multiplayer experience we enjoyed was Beyond: Two Souls. Angela played as the spirit, Aiden, and I went through most of the game as the protagonist, Jodie. The gorgeous visuals had us stunned and even if the game itself was far from perfect, Jodie’s personal trials were so different from what traditional gaming entailed, we were engrossed. That included the chapter when Jodie becomes homeless and has to beg for money, to helping deliver a baby, then saving said baby and mother from a burning fire. Angela’s reactions highlighted my own thoughts on the game and we’d often get into discussions about the moral implications of Jodie’s choices. When we played Child of Light together, some of our clashes in gaming styles came to the forefront. I liked to fly Aurora directly to the end goal of a given section. Angela wanted to search the dream world of Lemuria, find all the treasures, and take in the scenery. A similar situation happened when we fired up Fable III. She enjoyed playing slumlord and buying up all the real estate, which became a huge hobby for her. I thought it was a waste of time, wanting to focus on the main quest. I changed my mind when I realized that in the final sequence, it turned out all the money she earned from owning all that property allowed us to make all the right choices since finances weren’t an issue. In Breath of the Wild, cooking different types of food became her favorite aspect of the Hyrulian adventure. I’d sometimes take a break, go read a book or write something, come back, and find a full inventory of all new food. These turned out to be super helpful throughout some of the tougher shrines and Blight battles. For Dragon Quest Builders, I wanted to finish the objectives and move on. Angela liked to build the cities out, make them aesthetically pleasing, navigate the world to uncover better treasures, and make it feel like home. I laughed at her when a boss would decimate huge parts of her painstakingly crafted city. Yes, we’d argue. I’d mistime a jump or go in the wrong direction in X game or die at the hands of a particularly brutal boss. Vice versa. We’d be frustrated with each other. There were times things would get so heated, one of us would say, okay, I’m done with this game, no more. We’ve had mixed results with JRPGs, mainly because of the huge time investment they necessitate. There are quite a few RPGs that remain unfinished between us that I’d actually go on to finish on my own (Nier, Horizon Zero Dawn, and The Last Story are three). But there is one series that appeals to both of us and that’s Persona. I think a big part of it is that the social experience is integrated with the gameplay and every aspect, from answering questions in class to which personas you’ve obtained, is connected with how strong your party becomes. Even the battles aren’t the standard fare of button mashing, but actually necessitate some rock-paper-scissors strategization as you try to figure out what spells specific shadows are weak to. I’ve played through hundreds of hours of Persona 3 and 4 with Angela. So picking up 5 was a no brainer. Angela usually handles a lot of the social links and maze exploration, while I tackle the boss battles and give silly suggestions about how to answer your companions and who to romance. It was really fun navigating the streets of Tokyo in P5, then shortly afterwards, visiting the metropolis ourselves for the first time. Many of the sites felt familiar and we loved putting our trip in perspective of Persona 5. We even played Persona 5 music when we got lost in the subway stations of Tokyo. There was one evening we were having an intense discussion and I asked her to wait a second. I took out my phone, found the song “Confession Secret” that plays during many of the sadder scenes, and asked, “Doesn’t this make the mood for talking better?” which made her stare incredulously at me before we both burst into laughter because it actually did set the mood for our talk. What I didn’t expect was that there was a story element that helped me to explain some of my emotions in response to a very difficult situation I’d faced in the past year. One of the main Phantom Thieves in the game, Yusuke Kitagawa, is an eccentric artist whose passion and purity for his art are only matched by his whimsical nature and his naivete about basic worldly matters (for example, he buys lobsters for their visually inspirational quality with the last of his money). In the art world, he was raised and mentored by Madarame. But when he learns that Madarame was exploiting many of his pupils, including himself, Yusuke is devastated. Even after vanquishing his shadow, he struggles to create new art. “The art realm I had so much faith in was distorted by greed and unchecked desires. That is when the true ugliness of the world became clear to me. And from that point forward, my brush has been stayed by crippling hesitation,” Yusuke acknowledges. A big part of his social link is coming to terms with who he is as an artist versus having to create works to gain acceptance from an audience (and earning a little dough to go along with that). I found his journey so relatable. Some of you may know, I write novels. One of the most painful experiences for me as a writer was finding out how mean-spirited someone whom I respected and trusted was when it came time to exploiting my work. I want to avoid details because my desire isn’t to villainize, but rather to point out that it caused a lot of distress and sorrow for me and I began to seriously question, why am I writing? What had once been joyous and a passion suddenly felt taxing and loathsome. I sat in front of my computer and found that I could not write. I became depressed and wondered if I even wanted to do it anymore (which, looking back now, seems silly, but it was that bitter of an experience). It was a hard time both for me and Angela, who had to bear with my struggles and inner strife. That’s why I really appreciated this relationship with Yusuke because it helped me to better explain my frustrations and my pain, not just to Angela, but to myself. Yusuke’s arc turns out very different from mine, but there were emotional links that helped put that past in perspective. It also allowed me to share a little more about the strange writerly frame of mind I was in and why it affected me so much, only in the context of a video game character, which felt safer. At the same time, Angela posed a difficult question for me. It’s great the Phantom Thieves change the hearts of those who were perpetrating evil, whether because of fear, insecurity, or just misunderstanding. But Persona 5 was fictional. Who changes the hearts of those who are exploiting, blackmailing, bullying, and hurting people in real life? We were both troubled to discover that we didn’t have an answer. I was actually supposed to go out to Japan last week for a conference, but for medical reasons, had to cancel. It was a painful decision that I was delusionally hoping could be changed up until the last minute. We won’t be able to travel for the next half year or so, but we’ve loved visiting Shinjuku and Akihabara and Jinbocho through Persona V and vicariously experiencing the city through the Phantom Thieves. 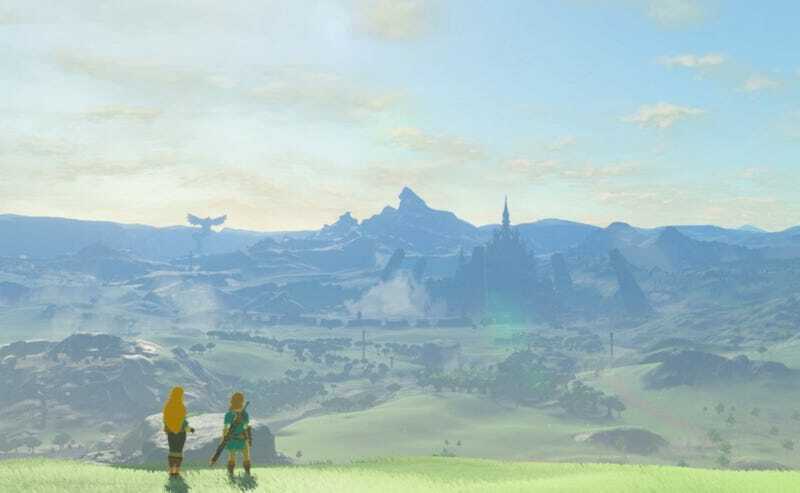 Fortunately, games have given us the chance to visit lots of incredible locations, even if imaginary, whether it’s the breathtaking landscape of Shambala in Uncharted 2, the apocalyptic ruins of The Last of Us, the ghoulishly frozen city of Silent Hill:Shattered Memories, the alternate Axis-ruled America in Wolfenstein, and the Twin Peakesque town of Arcadia Bay in Life is Strange. Our philosophical differences in gameplay haven’t prevented us from enjoying an amazing thrill ride, like in the action-packed heists of Grand Theft Auto V or the grindhouse horrors of Resident Evil 7. At the same time, they’ve helped us to acknowledge that those differences aren’t necessarily detrimental to our teamwork and there are benefits to both sides. What I’ve loved most about gaming isn’t that it substitutes for real life. Rather, it gives us a bridge to better understand it. We have a kid on the way so I have no idea how that’ll change gaming for us. Some sites advise playing Mozart and classical music for babies in the womb. I’ve been playing retrogaming music from the Super Mario and Mega Man series in the hopes that they’ll foster a love for gaming from inside of the belly. I’ll have to tell you later how it goes.